Whether rich and dense or silky and light or somewhere in between, cheesecakes come in many different styles. They’re wonderful desserts to make in spring and early summer as berries are coming into season. 1. Use Your Slow Cooker. Yep, your cooker does more than simmer meatballs and long-cook stew. The steam produced from the water bath and the cooker’s gentle heat create an ultra silky cake. 2. Switch up the cheese. For an extra tangy cake, use goat cheese in place of the usual cream cheese or add some funky, briny feta. 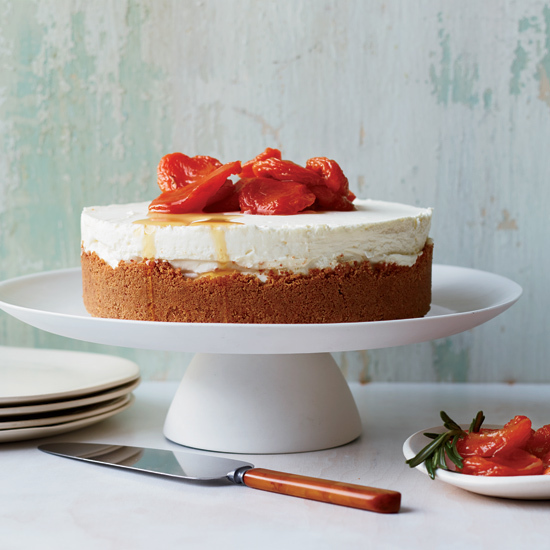 Go Italian-style, and use ultra-creamy Robiola or ricotta, for a light and pleasantly grainy take on cheesecake. 3. Make it spoonable. Instead of the usual formed cake, make a cheesecake custard for serving in a parfait. 4. No-Bake. Keep your kitchen cool, and spread this whipped white chocolate and cream cheese topping over a gingersnap crust. 5. Flavor the filling. Yes, there’s always pumpkin for fall and chocolate for winter, but for spring, add a little olive oil and lemon to let the fresh berries you put on top shine. 6. Switch up the crust. Make the crust extra-crunchy by adding almondy Italian cookies to the usual graham crackers. Or grind walnuts with sugar and butter to use in place of graham crackers for a completely gluten-free cheesecake. 7. Make them in miniature. Cupcakes? Snore. Mini cheesecakes in muffin tins? Yes!